*Exception: Order this Three Prong Plug In for portable Janome 1600P, Elna 7100, Singer Pfaff Grand Quilter, Viking Mega Quilter 9" Arm Space. (not longarms). 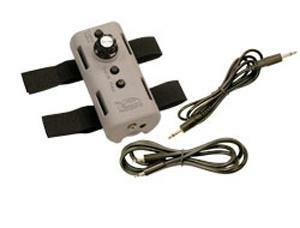 The Grace Speed Control is a universal foot pedal replacement that works with many machines on the market*. lt allows you to have compatibility with multiple machines listed below* Without the Grace Speed Control you would have to use your regular foot controller for start/stop and speed control. The Grace Speed Control is compatible with many DC-powered machines that have a single prong foot pedal plug-in. D.C.-powered machines usually have a separate foot pedal plug-in and a power cord plug in. 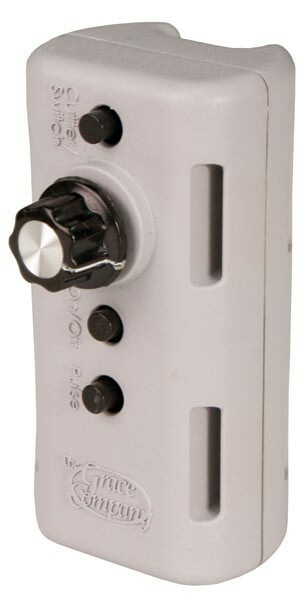 The Speed Control Box comes with a 3.5mm Male Mono Plug connector and a 5.5mm Female Power Plug. 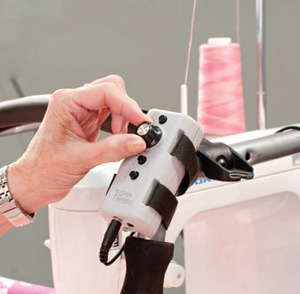 Grace Speed Control comes with velcro straps and cords to connect to foot control port on your portable sewing machine or mid arm quilting machines. For someone who doesn't have a quilting frame, is it possible to use this device to control the speed? Adi.Don, Yes. 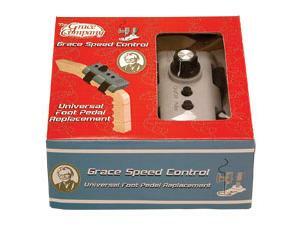 the Grace Speed Control replaces your foot control whether sewing on a table or on a quilting frame. It's like having a start stop button for your machine where there was not one before. Grace Speed Control does not function as a stitch length regulator. It functions to dial up or down to set a speed within your machines variable speed limit range. See machine and frame compatibility chart on AllBrands.com or at GraceFrame.com. Only other problem is the shipping and tax costs, as I live in the UK. I understand that this is totally out of your control but doubles my initial spend. Many thanks for a fab, fast service. Every interaction I have had with ALLBRANDS has been terrific. I couldn't possibly ask for better customer service or better products.